Washington State University is opening a $64 million building in Everett to support a growing program in engineering. She was a self-described aviation buff who earned her private pilot’s license after high school, but when she got up in the air, Jennifer Johnson decided that piloting a plane was kind of boring. What she really liked was the stuff under the hood — the complex systems that make up a commercial airplane. But Johnson, who by her late 20s was married and living in Marysville with a toddler, couldn’t pick up and move somewhere to earn the engineering degree she’d need to do that kind of work. Then in 2014, an opportunity opened up close to home. 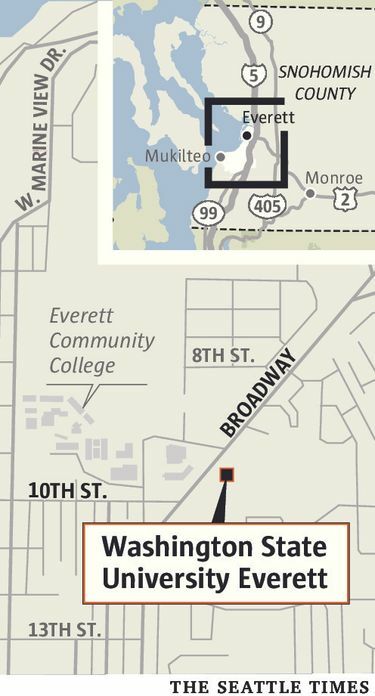 Washington State University began offering engineering degrees in Everett, using space on the Everett Community College campus. Johnson brushed up on her math and science skills, then enrolled. She’s now a mechanical engineer for Aviation Technical Services in Everett — a dream job that allows her to do engineering work on airplane systems, including repairs and modifications. This month, WSU Everett will cut the ribbon on a $64 million building that can accommodate many more students like Johnson who can’t move to the college’s main campus in Pullman but want to earn an engineering degree and some of the other degrees WSU also offers. For many Everett politicians, the building is the culmination of 23 years of work to establish a four-year university in Snohomish County. Pat McClain, a former governmental-affairs director for the city of Everett, says he was moved to tears when he and his wife attended the first graduation ceremony for students of WSU Everett a few years ago. “You listened to the stories of young people and what it took to get their degree — and it wasn’t that long ago they couldn’t get that degree in Snohomish County,” he said. The 95,000-square-foot glass-and-brick building, across the street from Everett Community College, is one of the tallest, and newest, buildings north of downtown. Much of the building is designed for students studying the three engineering degrees WSU offers in Everett: mechanical, electrical and software. It’s filled with state-of-the-art equipment to help them do their work, including 3-D printers and high-end computers for software engineering. Flat-screen TVs for videoconferencing are everywhere, allowing professors in Pullman to teach classes in Everett. Everett politicians had lobbied for years for the University of Washington to open a branch campus in their city. When that idea fell by the wayside, they shifted their attention to WSU. In 2011, then-Gov. Chris Gregoire signed legislation giving WSU management and leadership, starting in 2014, over a building on the Everett Community College campus where a consortium of eight four-year colleges offered classes. 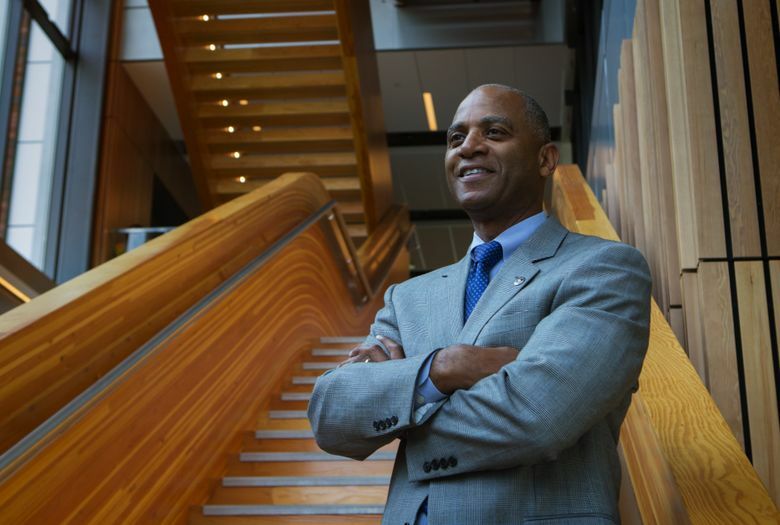 In 2012, WSU began offering engineering degrees in Everett. In 2013, the university’s governing board approved a $10 million expenditure to begin design of the new building. And in 2015, it got money from the state Legislature to construct the building. 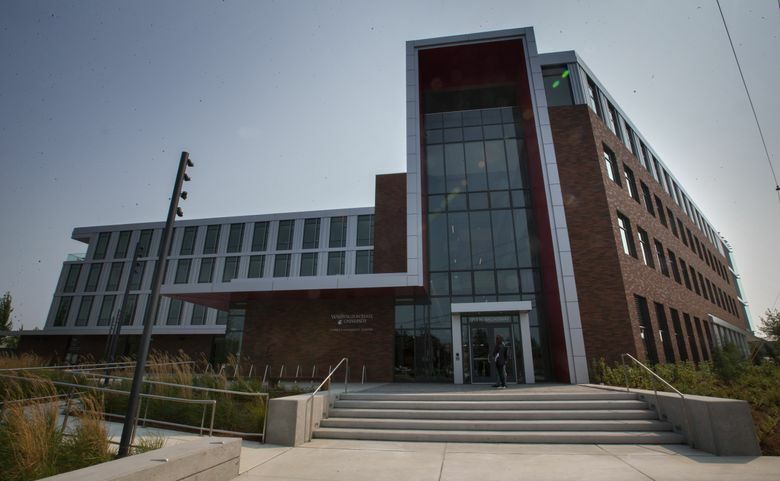 About 200 students have enrolled in WSU’s Everett offerings this fall, and the building has enough space to take 600 more. With a solar array on the roof and a 19,000-gallon underground cistern that collects rainwater, the building will use half the energy a building of that size would normally use, and its toilets will flush with water from the sky. Along with Johnson, the Marysville mom who went back to college, WSU Everett is set up to help students like Amy Felt, a 2009 graduate of Mount Vernon High School. Felt earned her associate degree at Skagit Valley and Everett community colleges, then earned her mechanical-engineering degree at WSU Everett in August 2016. Moving away from home to get a degree wasn’t an option for her, either. Today, she too is in a dream job — as a fluid systems test engineer at NASA’s Kennedy Space Center in Cape Canaveral, Florida. Pitre, the chancellor, said about 96 percent of WSU Everett’s students are from Washington state. And they’re older than the average college student — about 26. In addition to engineering, the Everett campus also offers a hospitality and business management degree, and will be starting an organic agriculture degree this fall. Earlier this month, McClain — the Everett city official, took out an ad in The (Everett) Herald commemorating the new building.